Offered in collaboration with the Baha’i inspired organization ebbf (Ethical Business Building the Future, ebbf.org), Achieving Moral Excellence in Business allows learners to explore and redefine the fundamentals of a new business and management paradigm founded on revolutionary spiritual and moral principles drawn from the Baha’i Revelation. To provide a contrast, we will first review current understanding of business ethics and then challenge commonly held assumptions in business and management. We will take time to rethink the purpose of business, examine the meaning of such spiritual and moral values as unity, justice, nobility, and service, and explore how these values and operational principles such as consultation apply in a business environment. We will then explore groundbreaking concepts of leadership, power, and corporate governance. Audience: The course should be of interest to anyone interested in starting a business, improving their business, transforming their work environment, providing innovative and transformational consulting services or sharpening their social entrepreneurship skills. 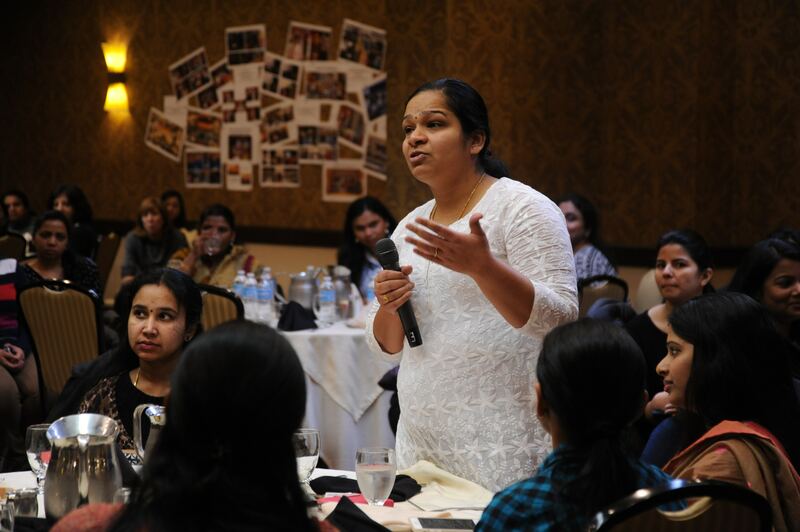 Image: A woman questions her CEO at a Woman's Day celebration in Bellevue, WA, USA. Photo by Wonderlane on Unsplash.